A recommended beachfront go-to for sea views, seafood and organic paella in Barceloneta. As casual beachfront rice shacks go, Barraca has a serious culinary pedigree. It was set up in 2013 by Xavier Pellicer, protegee of the late lamented Santi Santamaria at the three-Michelín-starred Can Fabes, in partnership with Guido Weinberg, whose Tribu Woki group runs organic markets and restaurants in and around Barcelona. Pellicer is there only occasionally now, having moved onto another Woki project this year with the opening of the superb Céleri restaurant (review coming soon). The food, however, still bears the stamp of his talent. Barraca specializes in rice dishes but also serves a range of tapas, starters and locally caught fish, with most dishes comprising organic ingredients. Price-wise, it’s at the more affordable end of the good rice- and fish-dish scale, about €16-€22 per person. Expect to double that if you add a starter or share some tapas/pica-pica dishes and order a couple of glasses of the organic and biodynamic wines on offer. Barraca has a pleasant terrace, if you don’t mind the stampedes of passing foot traffic, but the best seats are to be found by going indoors past the bar and upstairs, where you can watch the beach from the light and airy dining room. Getting a seat and getting served are not simple procedures. The first, because Barraca is deservedly busy and often fully booked; the second, because the service is simply not up to the standard of the food. The overall impression is of amiable chaos. A lot of hand-waving and neck craning is required to catch the waiters’ attention but, once engaged, the staff I dealt with were charming, eager-to-please and keen. They were alse woefully under-informed. Basic questions caused confusion and some of the suggestions were simply terrible (dry fino sherry as a dessert wine substitute for Pedro Ximénez; which, I was informed, was the name of a winemaker not a grape…). I feel bad criticising them – it’s like kicking a puppy – but their friendliness needs the support of some training and a tighter control of the front of house. Patates braves, cooked to perfection with a spicy dusting of hot paprika and some seriously good, garlicky all i oli oozing over and around them, demanding to be mopped up. Stewed quid with rice, coriander and chili. Not blow-your-brains-out hot but bolder with the chili peppers than is usual in Catalonia. Barraca is admirably unafraid to build spiciness into its dishes. Then some light, fluffy cod fritters (bunyuelos). These aren’t my favourite dish regardless of quality but they were admirably prepared with not a hint of sogginess or staleness, and my wife loved them. We wanted to try some paella and the kitchen kindly agreed to prepare single servings of two different types. Vegetable paella is a house special, in keeping with Barraca’s (and the Woki group’s) theme of fresh, light, healthy and organic dishes. It wasn’t especially light – a paella is never especially light – but it was very good. The deeply caramelized socorrat of the rice had stopped short of any bitter burnt notes and the grains of rice were cooked to retain a satisfying bite. The same could be said of the seafood paella. Cooking single portions of paella without burning them is a tricky task, which is why many restaurants refuse to try, but these were both excellent. The chocolate and almond crisp dessert was advertised as featuring organic bourbon vanilla ice cream. I love vanilla ice cream. Restaurateurs take note: you cannot go wrong serving me a bowl of excellent vanilla ice cream. So when the dessert came instead with sickly sweet strawberry ice cream, which I detest – especially in combination with chocolate – I was crestfallen. The rest of the dish was OK but unexceptionable. If your budget or stomach capacity is limited, I’d recommend skipping dessert and perhaps even doubling up on the superior starters. Barraca is one of the best places in Barcelona to eat rice dishes. It’s got gorgeous views, a relaxed atmosphere, sensible prices (for the area) and the food it serves is generally very good. Paellas are correctly cooked (they are not supposed to be damp like risottos or arròs melós) and the tapas are delicious. It’s even open on Mondays. I’m in the area quite frequently and I will, without a doubt, be back at Barraca. I have recommended it to many people since my visit in early October 2015 and I will continue to do so, because they’ve all been very happy with their experiences. That said, it could be better. Friendly but slightly amateur service is better than surly competence, without a doubt, but I can imagine things getting out of hand at busy periods – and reports from people I know suggest that this sometimes happens. But if you approach Barraca in a beachside state of mind – unhurried, relaxed and easy-going – you’ll have a great time. Barraca: Passeig Marítim de la Barceloneta 1, 08003, Barcelona; Tel. (+34) 93 224 12 53; Metro Barceloneta / Ciutadella-Vila Olímpica. 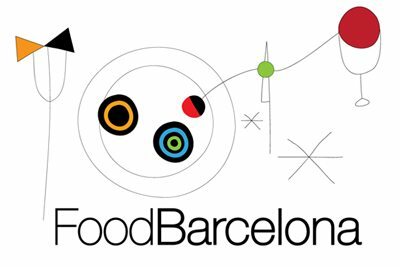 Find Barraca on the FoodBarcelona restaurant map.